If celebrities have thin hair, we’d never know it. Aside from au-naturel selfies, they do a flawless job at feigning full hair, but not without the thinning hair hacks their hairstylists keep tucked in their kits. Whether your hair is naturally thin or is thinning as you read this, make note—there are quick fixes that conceal sparse strands. Here we break down five of the quickest, thin hair solutions to making hair look thicker. Mousse doesn’t give faux pas, crunch-inducing curls like it did back in mom’s day. Today’s mousse is a thin-haired gal’s must-have. We love TRESemme Thermal Creations Volumizing Mousse. For just $5.49, it lends sticky-free height, and the thermal protectant formula works with heat to add fullness and prevent heat damage. If you’ve got a couple more bucks to shell out on this blast from the past that’ll fuel fuller looking hair, go for Bumble and bumble’s Thickening Full Form Volume Mousse. Work a little at your roots on damp hair before blow-drying or run it through dry hair. One dollop goes a dense way, giving thin hair the perf boost of long-lasting volume. Rita Hazan Root Concealer Touch-Up continues to be Hollywood’s go-to hair trick. The water-proof spray amps up flat hair by adding coverage to your hairline or any empty spots that need thickening. Perfect for thin hair or grown-out roots. Another MA-approved thin hair hack: clip ins! Snag a pack of Beauty Works Clip-In Extensions which come in lengths of 16″, 18″ and 20″ for instant volume and thickness. P.S. You don’t have to use the entire pack—adds strips wherever they’re needed. Strands so sparse your ponytail is suffering? Fake a full, flirty ponytail by creating one ponytail at the middle of the back of your head using half your hair. With the remaining hair on top, make another ponytail above that one, tying it to the one on the bottom. Just like that, you’ve created the illusion of a luscious updo. Pull out the surface-level stops to end thin hair all you want, but don’t forget to amplify the results with a shampoo for your thinning hair type. For a buildup-removing, volumizing lather, try Living Proof’s Full Shampoo. 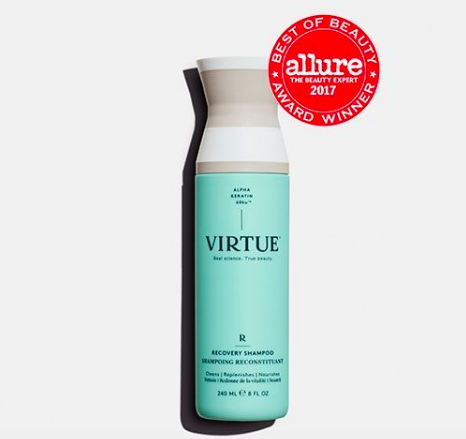 It plumps strands, adds natural body and bounce, sans sulfates or silicones.